Hello friends! I'm so excited to share with you today with some very talented bloggers. We will be sharing a Project Challenge each month. 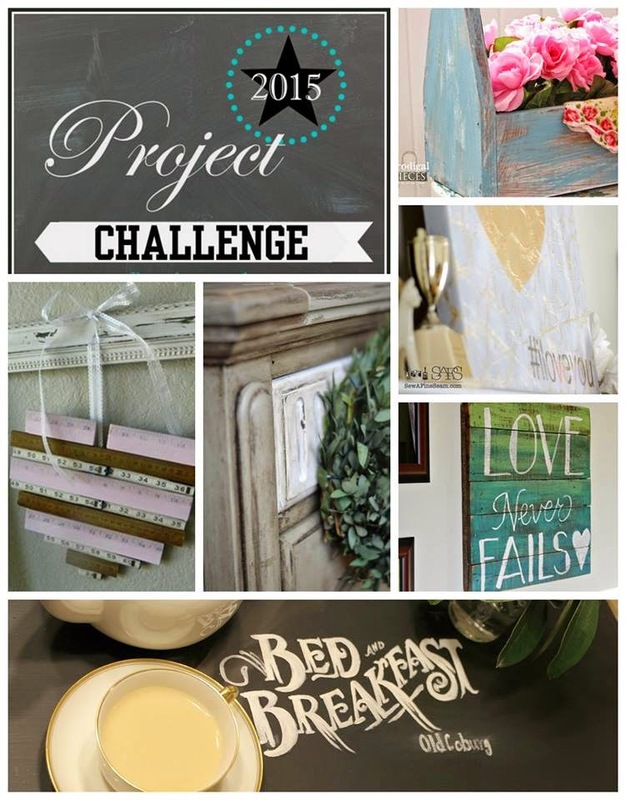 Project Challenge is where six of us are sharing a project each month that is made with a common item. 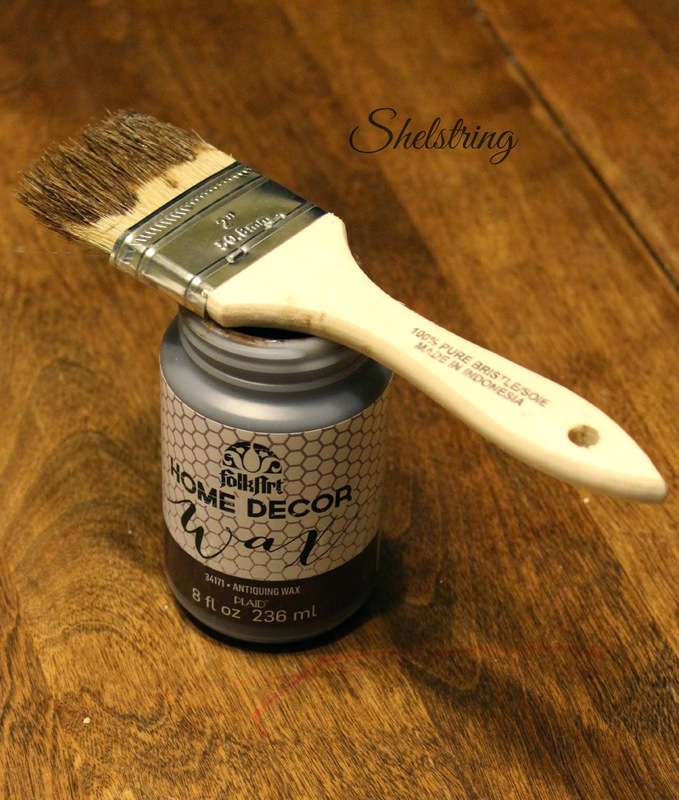 Our theme this month is Paint or Stain. So I'm excited to share mine with you today! 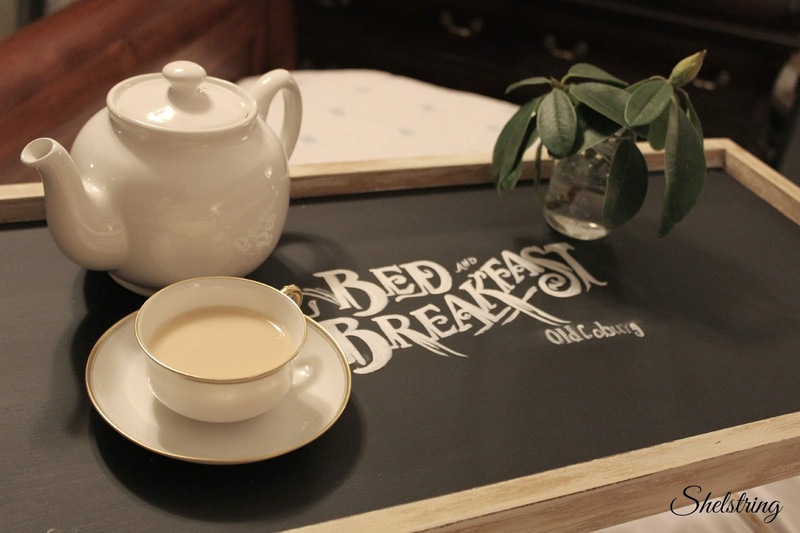 I have had this breakfast tray that I got at a yard sale a few years ago. So as you can imagine, it has been on my project "to-do" list for quite some time. I've lost the before picture somewhere in my thousands of pictures, but if you can imagine, it had a Formica style top and dark stained pine frame. I think I got it for $5. 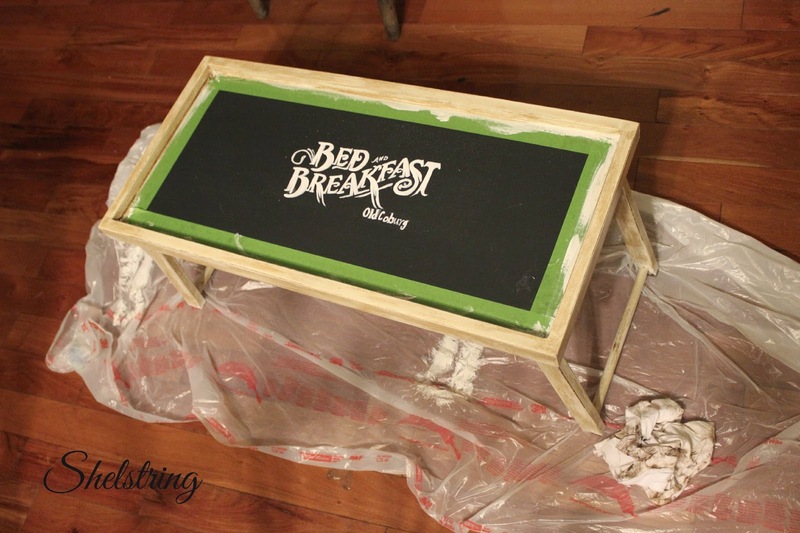 I decided to used 3 coats of chalkboard paint on the top since I knew I couldn't sand it. I've found this to be such a great solution to surface issues and thought it would be neat to be able to write messages to recipients. I then transferred an image onto the top using carbon paper and a pencil. Using a liner brush and an angled brush, I filled in the lettering with acrylic paint. I added "Old Coburg" to be authentic to our area. Coburg is a neat little antique community with all sorts of shops and great places to eat. 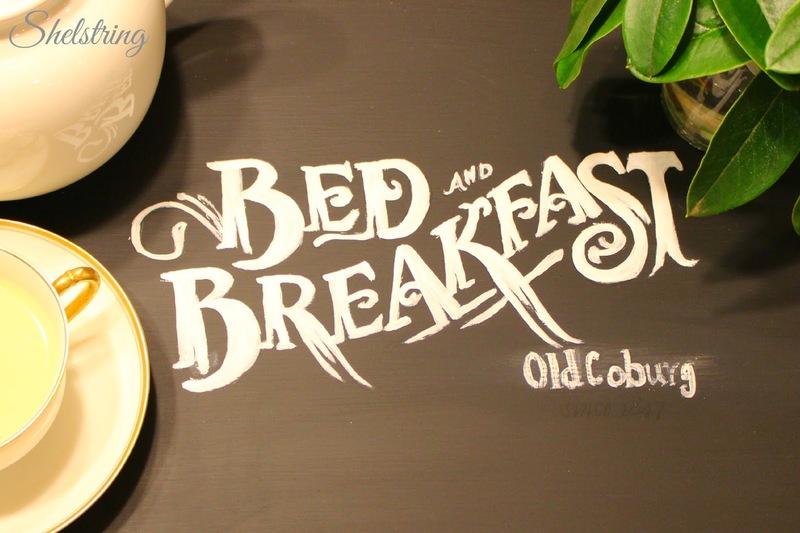 They have a bed and breakfast, so that was the inspiration. After adding three coats of homemade chalk paint to the frame, I let it dry over night and then brushed on a layer of Antique wax by FolkArt. I've never tried this before but have always wanted to. It was great to work with. After brushing it on, I buffed it down real good. 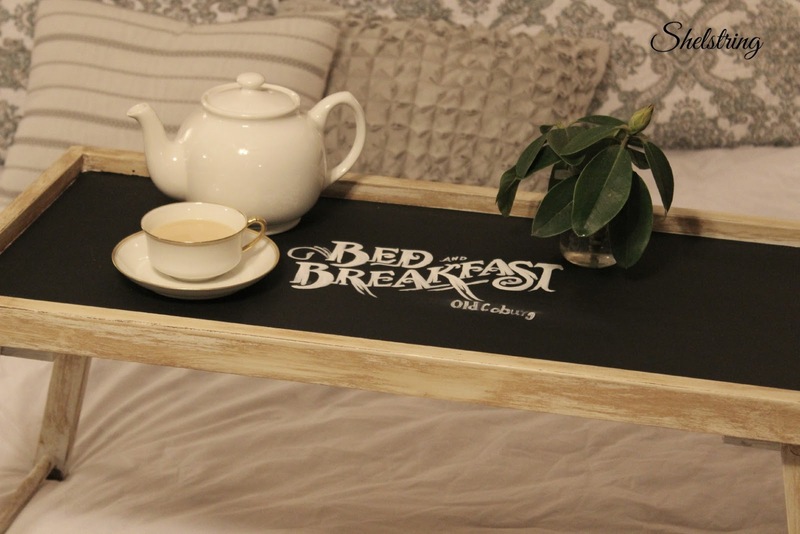 Now it will be fun to serve breakfast in bed! Now check out these other AMAZING projects. And come back next month because we are inviting you to join us! remember to come back next month for challenge #2! Hi. I'm your newest google follower, number 146. 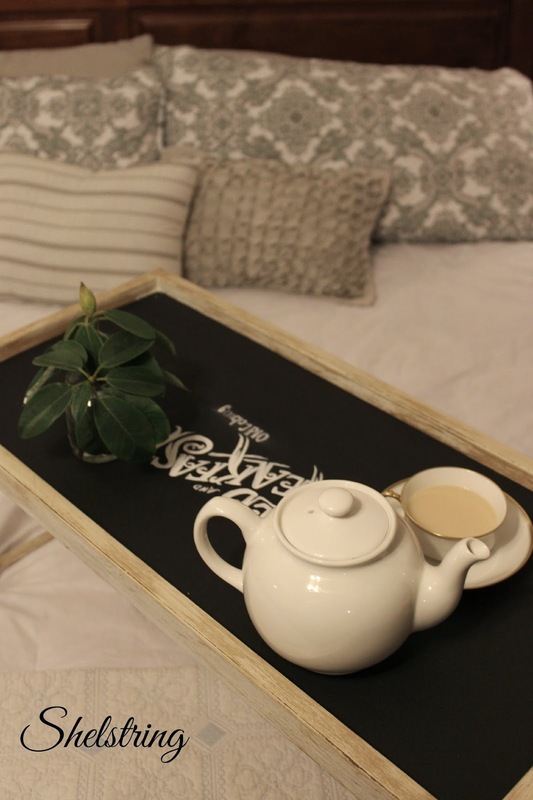 You made me sorry I gave away a tray just like that. Will be finding another one and copying yours soon. I love the way this turned out!! It looks so high end now! I'm going to have to look for the wax you used on the wood the color is great! Cool! I love this! Great job - now to get your kids and hubby to make your breakfast in bed - maybe for Valentine's?! 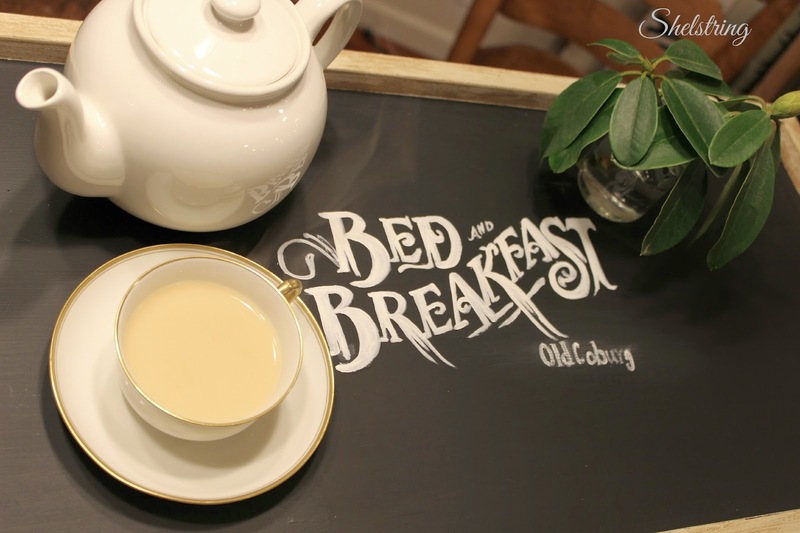 I love your bed and breakfast tray! 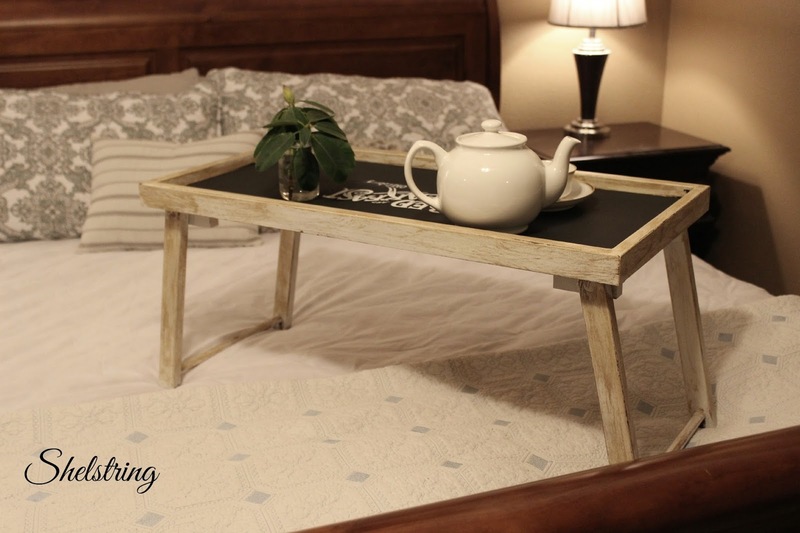 I have some old trays that can use a re-do, so I might try this!